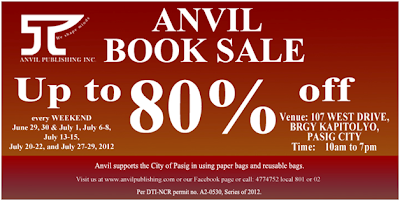 For book lovers, head on at Anvil Book Sale on July 20 -22 and July 27-29, 2012. 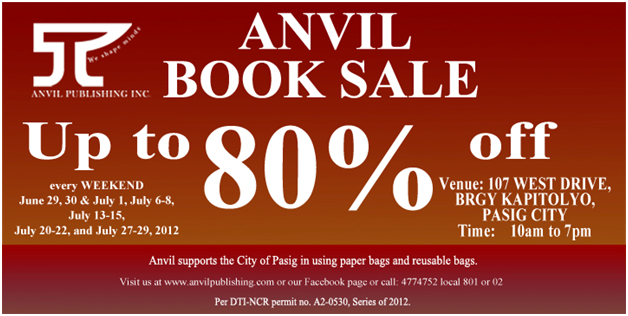 With 80% off you'll surely bring home a lot of books to read and give your loved ones. Hi ate/sis, sent you a new article please check your inbox and please respond if interested or not. Thanks!